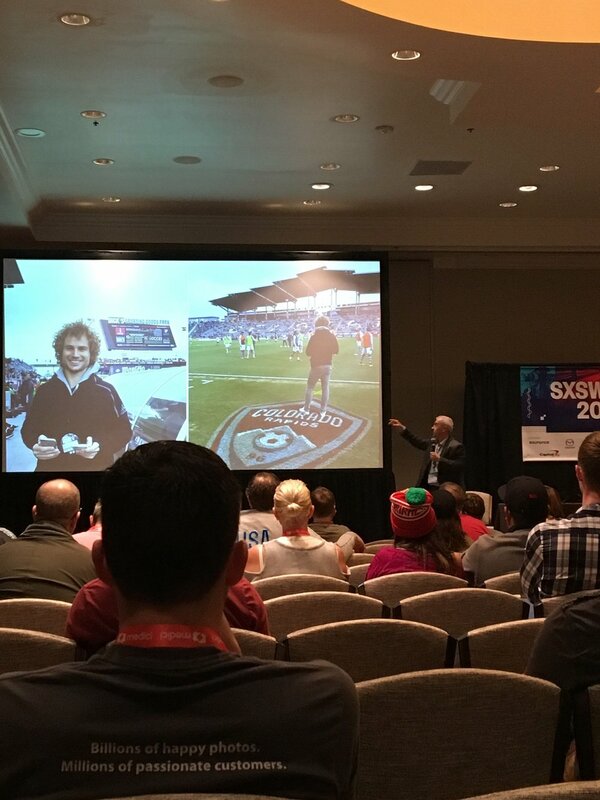 It was a thrill to get a second chance to tell my story at SXSW. My 2017 talk was an extension of the one four years early. "Football is a religion in the UK. Overseas, the Premier League retains a unique global resonance. Its TV deal is the second largest in sport and EPL contributes half of the world’s top 10 teams in social media. During 13 years in charge of content at Arsenal FC, I was at the forefront of that worldwide development. But in 2015, I moved to Major League Soccer. The game was the same but the players, media, fan culture and, as a result, the narrative were different. 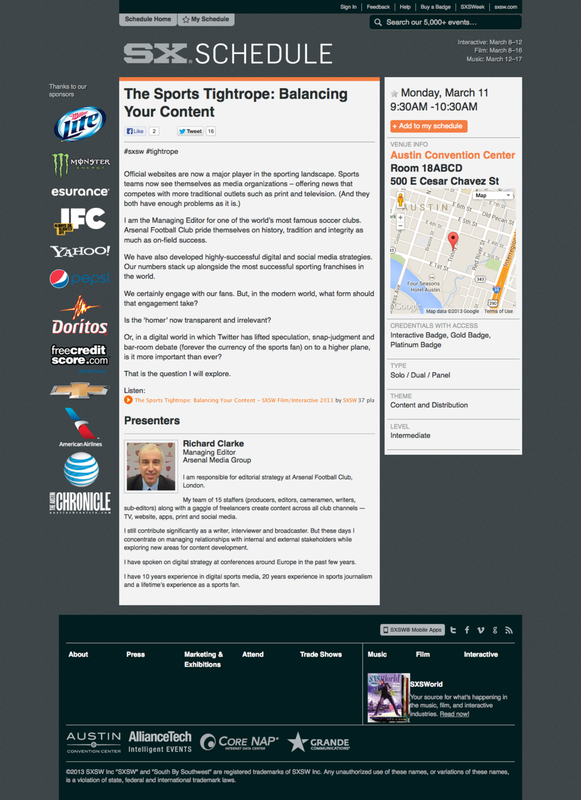 The lessons are powerful for all stakeholders in content - creatives, partners, major teams and ‘challenger’ brands. And what can the NFL and NBA learn as they strive to create new markets overseas?" 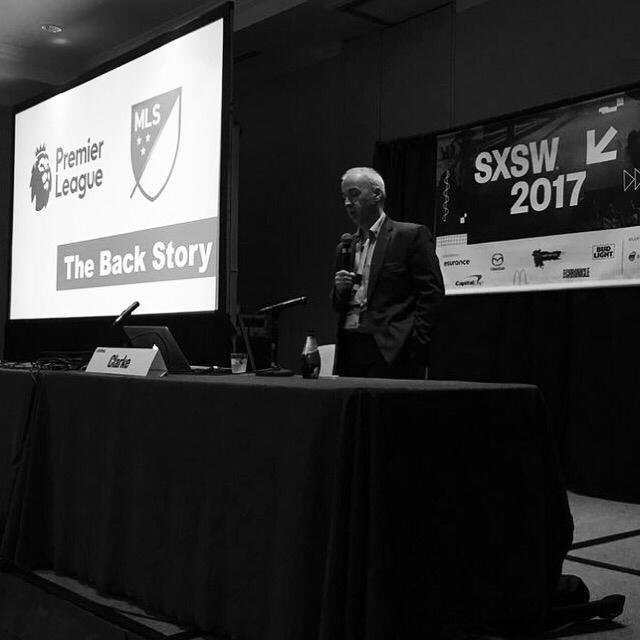 This was a roundtable session with digital leaders from some of the major sports clubs in the world including Manchester United, Chelsea, Liverpool, San Francisco 49ers, Juventus, Major League Baseball, Borussia Dortmund etc…. This was a conference in Paris in 2012, with Randy Zuckerburg as the keynote speaker. Fortunately they recorded my talk on YouTube.